One thing people have to remind themselves is that not every great creation is technically "successful", at least in a monetary sense. Likewise, some creators can become beloved by many & create some of the best stuff in the medium he/she works in, yet almost none of those works are actually "successful". In the anime industry there are a few names that fit the latter nicely, but probably one of the most respected names in this category is also one of the (seemingly) most money-toxic directors ever: Yasuhiro Imagawa. Yeah, it's simply a "The/Th" emblem I found online, some MS Paint text, & part of the White Knight Chronicles logo... So sue me. Like anyone, Imagawa didn't just start directing & writing when he entered the anime industry. You gotta learn to crawl before you can walk, walk before you can leap, & leap before you can fly (hey, it's Imagawa we're talking about here), so it's only fair to start at the very beginning & explain just how he got into this industry in the first place. According to an interview with Newtype Mk II magazine, Imagawa grew up as a fan of Tetsujin 28 & Garo (the now-defunct alternative manga magazine), but moved away from anime & manga while in junior high. He ended up in a rut, but in the mid-70s became a fan of cult-classic The Rocky Horror Picture Show, which ended up being the inspiration for his motto in life: "Don't Dream It, Be It", named after the song of the same name from the movie. 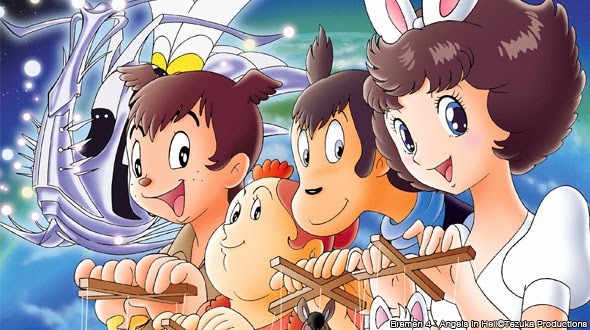 After finishing high school he moved to Tokyo & decided to be an animator after being impressed with the work that had been done with 1979's Josephine the Whale. He joined Tatsunoko's rookie animation training school, but found little drive in being a key animator after seeing the work of fellow animator Fumio Iida, who he sat right next to. Nowadays, Iida goes by the pen-name SUEZEN & has done key animation & animation direction for the likes of Gunbuster & Diebuster, Roujin Z, Gurren Lagann, & (most recently) Space Battleship Yamato 2199. 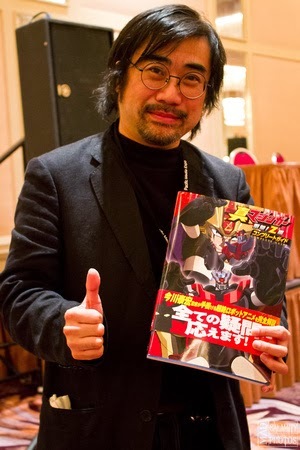 Luckily, on Imagawa's very first day he met, by chance, Hiroshi Sasagawa, co-creator of the Time Bokan series & the director of Speed Racer, and directly asked him to be a part of his team. Sasagawa accepted the offer & immediately afterwards gave Imagawa his very first job as a production assistant with Tezuka Pro on their 1981 offering for the 24 Hour TV charity drive, Bremen 4: Jigoku no Naka no Tenshitachi/Angels in Hell. Imagawa's Name Appears in Anime For The Very First Time! Inspired by the German folktale The Minstrels of Bremen, Bremen 4 is truly an Osamu Tezuka production... Which means that it's either a great story/character-driven product or it's something you'll watch & continually ask yourself "What the hell am I watching & why am I loving it?" The story is odd yet engaging, the characters are relatively simple yet charming, and the overall message of peace is a nice one to share. 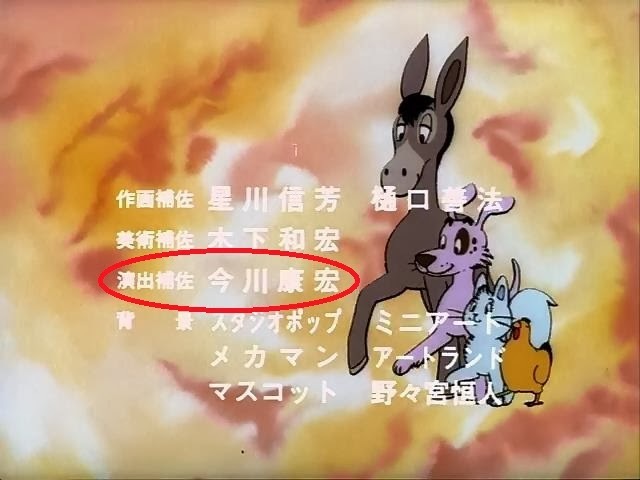 In terms of actual involvement I'm sure Imagawa himself didn't do much with this TV special, "production assistant" sounds like he was mainly an errand boy & maybe helped with some of the animation if needed, but I'll believe that Bremen 4 definitely influenced Imagawa's sense of imagination when it comes to making a story. Really, I'll just say that this is something that truly has to be seen to be believed, and that's not hard to do: Anime Sols is streaming this TV special on their site (across three parts) & tried to crowdfund DVD sets featuring these 24 Hour TV specials. Unfortunately, no set has succeeded, but they could always try again at a later date. Still employed with Tatsunoko, Imagawa also worked on Sasagawa's own work with the 1981 entry of the Time Bokan series, Yattodetaman. Here he worked alongside director Sasagawa as an assistant director and even was immortalized in the show, at least if I'm understanding it correctly. Supposedly there is a play in the show that features a character referred to as "The Only Son of Mr. Imagawa, the Furniture Dealer"; the character was modeled off of Imagawa himself. After this Imagawa left Tatsunoko to become a "free agent", if you will, & (likely with help from Sasagawa) worked with Group TAC on Tokimeki Tonight in 1982, based on a shojo manga about a girl who's the child of a werewolf & vampire; she, in turn, can turn into anything she bites (...makes perfect sense, no?). There's also word that he helped work on Yoshiyuki Tomino's mech anime Sentou Mecha Xabungle, but I can't find any info on what exactly he did; I would guess storyboards, though. 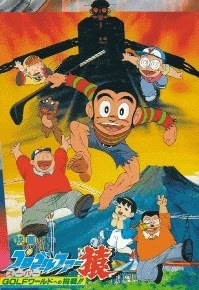 That title was Mister Ajikko, based on the Weekly Shonen Magazine manga by Daisuke Terasawa. The story revolved around young Youichi Ajiyoshi, a self-taught cooking prodigy who catches the eye of Aji-Ou/Flavor Emperor Genjirou Murata. Youichi would then compete in many cooking contests against chefs in all sorts of styles, making the manga the original "cooking battle" story. Luckily for the first-time director, Imagawa was allowed to add elements for the anime adaptation, and the one that mattered most was the addition of reaction shots. Apparently in the original manga characters would simply compliment good food & the story would advance, but Imagawa felt that such simple responses wouldn't transition well into anime. The solution he came up with was to have over-the-top, emotional expressions of love for the food as well as lots of visual accentuation. In the first episode alone Youichi's katsudon/fried pork, when opened from it's closed bowl, emits rays of light that astound & amaze Murata and his assistant, followed by them loving the meal. In the third episode, which has Youichi battle spaghetti-expert Marui, the judges express what they find exquisite about Youichi's eggplant-wrapped noodles while seemingly floating in the vastness of space. Naturally, these moments aren't meant to be taken 100% literally, but they definitely help add to describing how good these creations are. Add to that other elements like Osamu Dezaki-influenced "Postcard Memories", speed line-filled backgrounds, & dramatic movements & poses and Mister Ajikko completely grabbed the attention of Japan. 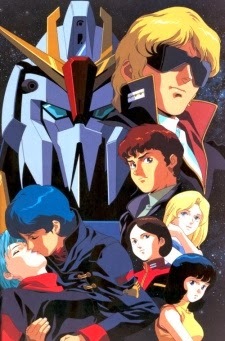 In fact, the anime was so successful that Sunrise extended it from it's original six-month schedule to nearly two years, running a total of 99 episodes; Ajikko is also the admitted direct influence for the Iron Chef television series. Finally, it even won the "Atom Prize" at the 6th Annual Japan Anime Grand Prix. That brings us to the end of Part 1 of The Imagawa Chronicles. We've taken a look at how Yasuhiro Imagawa got his start in the anime industry & how he eventually made it all the way to director for the very first time. To this day Mister Ajikko is likely the most successful & inspirational anime that Yasuhiro Imagawa ever directed, with the "reaction" being utilized in cooking anime & manga ever since. Luckily, the show also holds up very well to this day & is well worth watching; if one wants to check it out it is possible, though not legally. There are English subtitles out there for all 99 episodes, though they are obviously ripped from bootlegs. Simply expect incorrectly named characters & even some ingredients, though it's still completely watchable. But, let's face it, these early days aren't what people think of when they hear the name "Yasuhiro Imagawa"... That's what Part 2 is all about, so check back in a few days when we look over Imagawa's career during the 90s!